Our lives today weave between formal and social spaces, no longer defined by the four walls of the office or a clear distinction between technologies and communities. Social Leadership is a style and approach intended to provide a structure and skill set to thrive in this environment. It’s about understanding the new realities of the Social Age, where social collaborative technologies and an evolved nature of work combine to reduce the effectiveness of older, hierarchical approaches and mitigate in favour of socially moderated authority: authority founded upon reputation and consensually granted by the community. Within formal spaces, authority is hierarchical, often embedded in team and management structures and through official channels. Social authority communicates through social channels and communities and is socially moderated: granted and removed contextually. It’s reputation based and often crosses into social technologies: that which sits within our pockets and plays by the rules of Facebook and Twitter. Organisations need to develop capability around Social Leadership. Why? Because in the Social Age, it’s what makes you effective: the ‘sense making’ functions of community are where we create meaning, where we chart our way through pure knowledge into an understanding of what needs to be done and how. Our social authority is based on reputation, forged over time. The NET model is my first attempt at understanding and charting this: it starts out looking at curatorial and storytelling skills, learning how to share and communicate effectively. It moves into an exploratory phase: seeking out your communities and realising their purpose and the roles you take within them. It looks at the relationship between reputation and authority. It moves into technology: seeking to build social capital on humility and equality. It seeks to develop co-creative skills and refine them into effective collaboration. 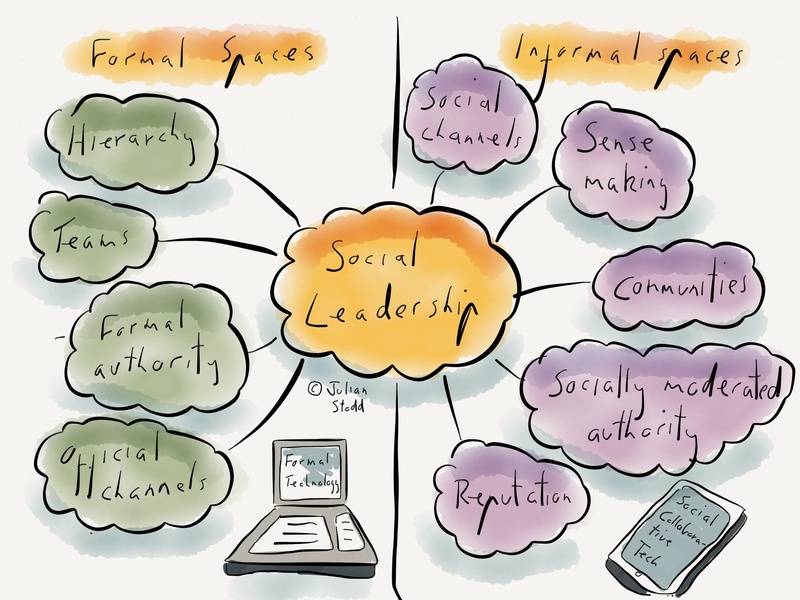 Social Leadership is part of the mindset organisations need to adopt to be fit for the Social Age. 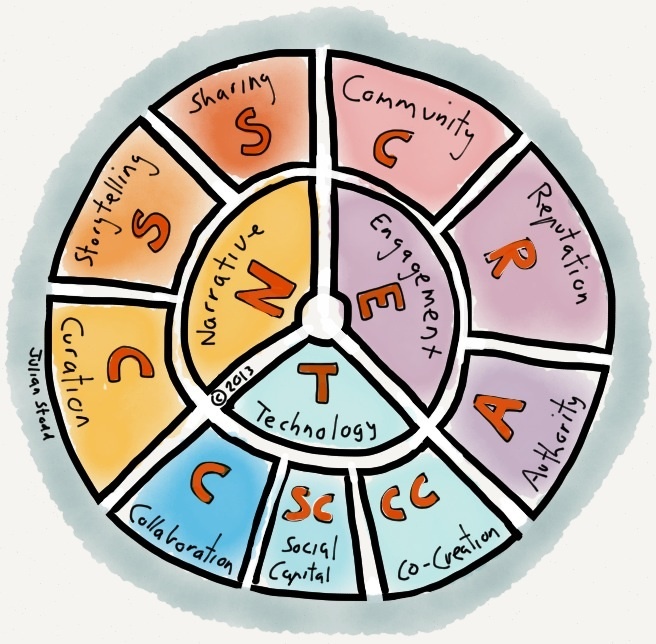 This entry was posted in Leadership and tagged Co-creation, Collaboration, Leadership, Narrative, Social Age, Social Capital, Social Leadership, storytelling. Bookmark the permalink. ¿Eres líder en ambos ámbitos?